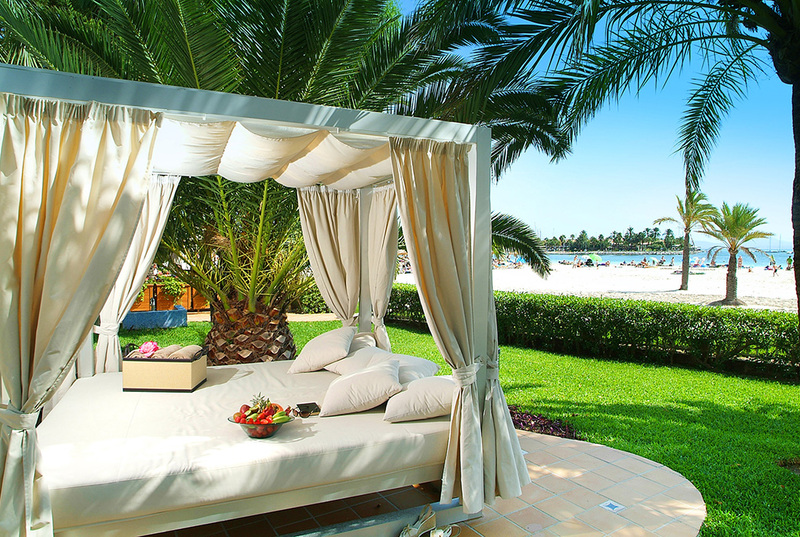 Relaxing holidays: A weekend of relaxation and pure romance! Hotels for adults are becoming more popular, as they offer an experience based around exclusivity, quality of services and attention to detail that is not found in all hotels. They are usually focused around the idea of spending a few days taking advantage of relaxing holidays, enjoying select cuisine and wellness services: massages, beauty treatments, spas and bubbling jacuzzis. The only guests are couples without children and parents looking to block out some time from their normal family life. Couples who want a weekend with a difference, where they can be a hundred percent with their partner, while relaxing in a jacuzzi, strolling along the beach next to their hotel, playing their favourite sport or getting a massage together. Another strong feature of this type of hotel is often the Mallorca gastronomy: dining in tranquillity, enjoying sophisticated dishes is a pleasure that few can resist, especially when the setting is comfortable, quiet and romantic. At Hotels VIVA we care about couples' well-being. So we have two establishments that are only for adults: Vanity Golf and Vanity Suite & Spa. Vanity Golf, situated on the Bay of Alcudia, embodies the deepest spirit of adult-only hotels: comfort, luxury and tranquillity with the added benefit of being especially designed for playing golf on a magnificent course about 10 minutes' walk from the hotel. The range of options is vast, both in the hotel itself, with its splendid Balneum centre, and in the immediate vicinity - in addition to golf, you can go for romantic, relaxing bike rides. The rooms are modern and comfortable and filled with that characteristic Mediterranean light. If it has been a while since you have enjoyed a romantic gourmet dinner with your partner, we offer you the opportunity to more than make up for it at our magnificent Mirablau restaurant located right on the beach, where you can enjoy everything from meat and fish to rice and vegetarian dishes. We cater for all palates. In the incredible Cala Mesquida we have our Vanity Suite & Spa with its amazing, innovative options. Enjoy our new Asian restaurant Mizu and its fusion cuisine, or our new Swim Up Bar where you and your other half can drink a cocktail in the pool. As if this were not enough, this year Vanity Suite & Spa is extending its age range to over-16s only. Comfort, luxury, romance, high quality cuisine, Balneum spa, the option of excursions and other activities... If you're looking for an exclusive, relaxing place in an almost virgin natural setting, you have found your perfect hotel. Do you think you deserve a weekend of the utmost romance and relaxation in a hotel for adults only that has plenty of additional attractions? Sure you do! So, don't resist the invitation to spend a few wonderful days with us. We're ready for you!